I am always amazed by how far technology advances year on year and I am glad to be working in the technology area. 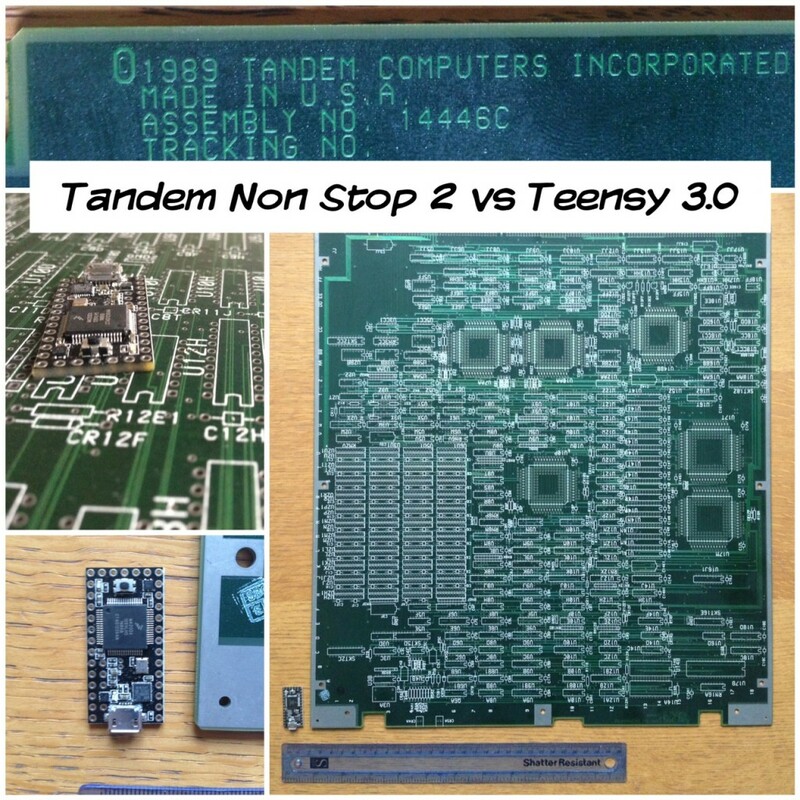 When I received my Teensy 3.0 I thought I would show it to my parents who have both worked with computers since when mainframes were really being introduced and worked for a company called Tandem. They produced the circuit board visible in the images which I believe is an IO board for a tandem non stop 2. For a full computer they said that there was a minimum of 3 boards required IO, processor and memory not to mention the connection to data storage on tape or hard disk platters. The cost of the board shown would have been approx £50k making the entire computer and installation cost in the £1million ball park. 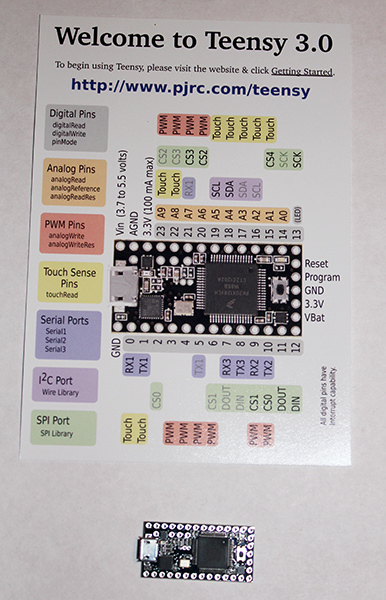 Comparing this to the Teensy 3.0 which takes a USB and pins to interface in and out it is just incredible to see how far things have come.